What is the need of Master Pages? In Web site development with ASP.NET, the master page is a feature that enables you to define common structure and interface markup elements for your Web site, including headers, footers, style definitions, or navigation bars. 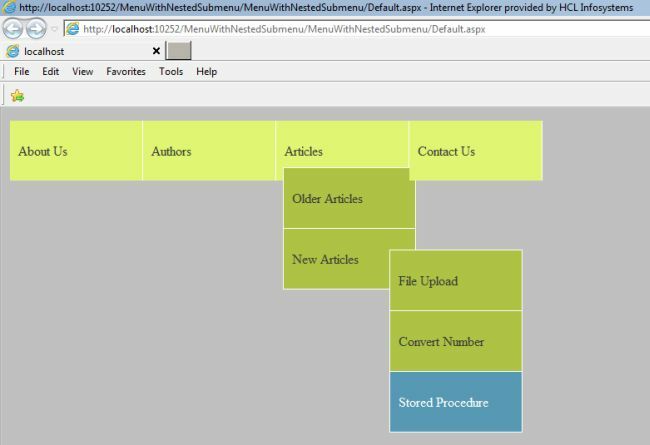 The master page can be shared by any of the pages in your Web site, called the Content Page, and removes need to duplicate code for shared elements within your Web site. Every website contains a common layout for most of the pages. Earlier before master pages,layout code was written on every page, which led to code redundancy and it was difficult to maintain also. 1. Code of User control is compiled again and again every time page loads. Another option is Master Pages.A Master page is a feature that enables you to define common structure and interface markup elements for your Web site, including headers, footers, style definitions, or navigation bars. The master page can be shared by any of the pages in your Web site, called the Content Page, and removes need to duplicate code for shared elements within your Web site. established through the Content place holder ID. 1. In a master page, there can be multiple content place holders. distinct placeholder in the master. page, a parser error occurs. 6. The MasterPage class, in turn, inherits UserControl. So, at the end of the day, a master page is treated as a special kind of ASP.NET user control. 1. Language: This attribute tells the compiler about the language being used in the code-behind. Values can represent any .NET-supported language, including Visual Basic, C#, or JScript .NET. 2. AutoEventWireup: For every page there is an automatic way to bind the events to methods in the same master file or in code behind. The default value is True. 3. CodeFile: Specifies the code-behind file with which the MasterPage is associated. 4. Title: Set the MasterPage Title. 5. MasterPageFile: Specifies the location of the MasterPage file to be used with the current MasterPage. This is used for Nested Master Pages. 6. EnableViewState: Indicates whether view state is maintained across page requests. true if view state is maintained; otherwise, false. The default is true. 7. Inherits: Specifies a code-behind class for the page to inherit. This can be any class derived from the Page class. Language used in master page and content pages can be different. Master pages can be nested. There is no limitation on nesting levels. Nested master pages will have ContentPlaceHolder as well as @MasterPageFile directive.